"Uncontrolled reproduction in free-roaming cats is a major problem in the United States and abroad," said Dr. Kelly Diehl, Senior Scientific and Communications Adviser at Morris Animal Foundation. "While there are excellent trap and neuter programs, many communities just don't have the intensive resources needed for this type of long-term surgical intervention. There needs to be a faster, easier and less expensive method than surgery to address this health and welfare in free-roaming cats on a global scale." Morris Animal Foundation-funded researchers at the Alliance for Contraception in Cats and Dogs embarked on a project to determine if GonaCon, a nonsurgical contraceptive used in some wildlife species, might provide a solution. The results, unfortunately, were not as promising for fertility control of free-roaming cats as previously indicated. "As expected, all 10 control cats became pregnant within a few months of the breeding trial," said Dr. Amy Fischer, one of the principal investigators of the study and board member for the Alliance, which is dedicated to finding a noninvasive, effective birth control strategy to save the lives of dogs and cats worldwide. "What was unexpected, based on the earlier study, was that 60 percent of the 20 GonaCon-treated cats were also pregnant within the same timeframe. 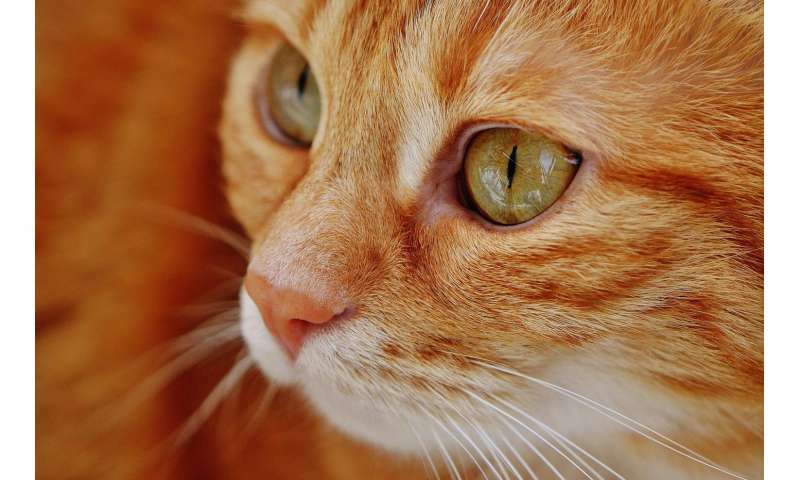 By one year post-treatment, that number rose to 70 percent of GonaCon-treated cats. This tells us that the current EPA-approved formulation of GonaCon does not have sufficient real-world efficacy to pursue as a nonsurgical contraceptive for free-roaming cats." An earlier study, also funded by Morris Animal Foundation, found cats vaccinated with GonaCon had a median duration of 39.7 months contraception. Based on these data, researchers were hopeful that a single injection of the GonaCon contraceptive would safely prevent pregnancy in female cats for about three years. Researchers note the differences in results between these two studies may be due to a slight change in the formulation of the vaccine or that the study was conducted in a very different and varied population of cats—cats living in colony conditions as opposed to tighter laboratory conditions. But that shift in study design does represent a win for the Alliance team—it's a big step forward in designing trials that will help researchers eventually come up with the right answer for surgical contraception. Their novel research model better represents the target population of free-roaming cats. "We assembled a colony of socialized cats from high-risk circumstances and housed them in a behaviorally enriched, animal-centered facility that allowed for sufficient monitoring and containment for research, but also offered the cats exposure to a natural outdoor setting and colony hierarchy," said Dr. Fischer. "We will continue to use this model to inform future contraceptive studies in free-roaming cats in our efforts to find an effective and long-term solution to improve the health and welfare of cats everywhere."